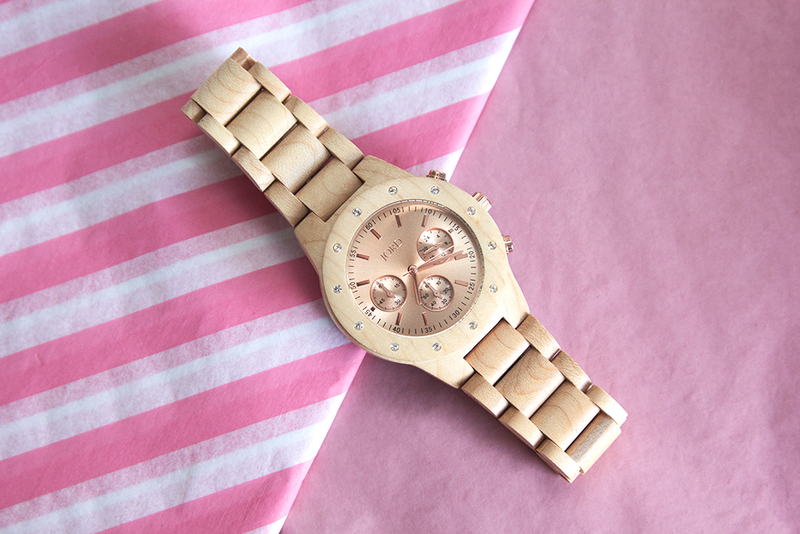 Okay, so how gorgeous is this watch?! Jord Watches got in touch with me and asked me if I wanted to collaborate with them, and they let me choose a watch that I felt fit in with my style the most. I chose the Maple & Rose Gold watch from the Sidney Series. 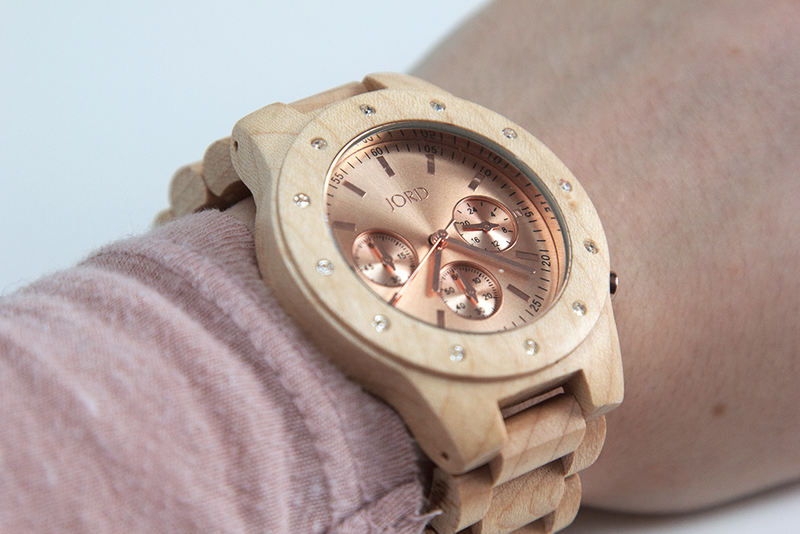 All of the watches from Jord are wooden watches which is something quite new to the market and I love the look of them, particularly the maple ones like this. It looks so light and girly and that’s what I like about it. The watches are different from most other watches in the market and I think they look really modern too. 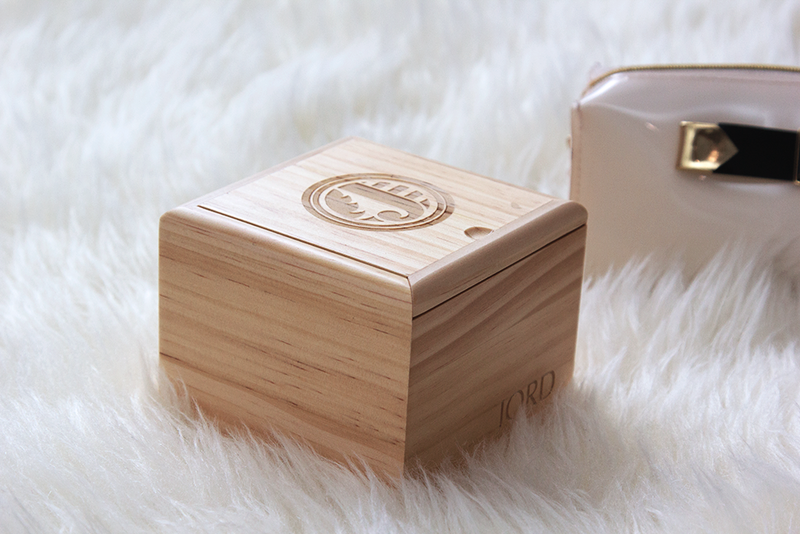 The watch arrived in this beautiful wooden box with the Jord logo engraved on the lid. 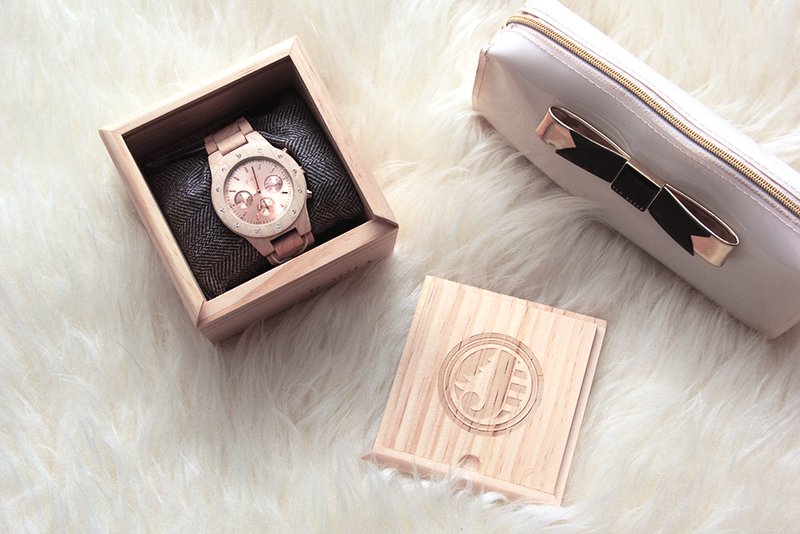 Everything about the watch is beautiful, from the packaging to the watch itself. I love that Jord have added a personal touch to the packaging, rather than just sticking the watch in a normal jewellery box, it just gives the overall shopping experience something extra special. I adore the rose gold face which is surrounded by crystals, if you like pretty girly jewelry, then this is perfect! I styled this with a white skirt and a pale pink top as it creates a really simple but cute outfit that’s great for both day and evening wear. Previous ArticleMakeup of the Day | Featuring My Mac Palette!